The Turkish Supreme Board of Elections has announced that a constitutional referendum will be held on April 16. The referendum will propose an 18-article amendment to the Turkish Constitution that has been long sought by the ruling Justice and Development Party (AK Party) and its founder, President Recep Tayyip Erdogan. Changes to the constitution need to be approved by at least 367 of the 550 members of parliament to become law. Proposals that receive between 330 and 367 votes should be put to a referendum. The current amendments were approved by 339 MPs. If the Turkish people approve the changes, Erdogan will become the sole executive head of state, with the authority to choose his own cabinet ministers, enact laws, call elections, and declare states of emergency. 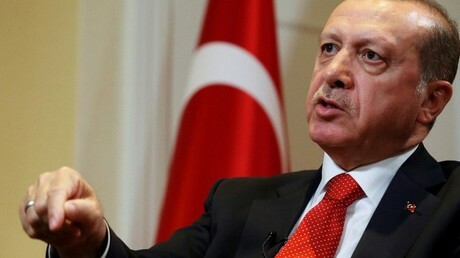 His presidential term will last five years and he can be reelected once, meaning Erdogan could be in power until 2029, if his current term is not taken into account. In the meantime, according to Turkish media reports from January, the parliament’s oversight over the executive will be limited to a number of functions, including submitting written requests for information, initiating parliamentary inquiries, and holding “general meetings” to discuss issues relating to government actions. The referendum date was announced by the head of the High Election Board on Saturday. 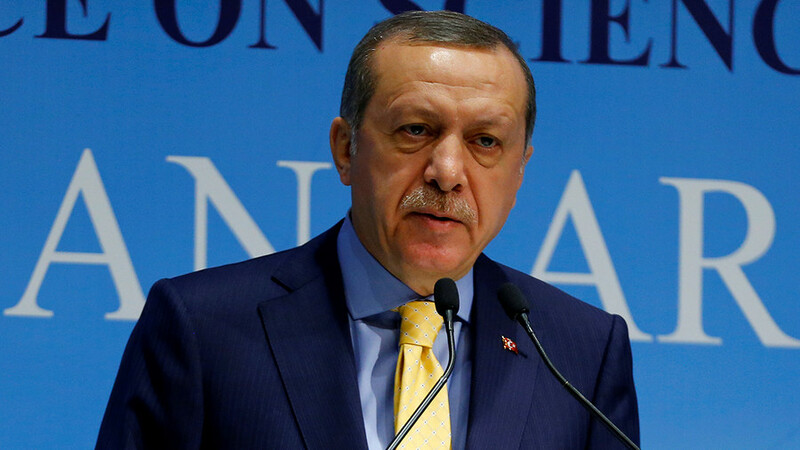 Erdogan claims that the legislation will provide stability, but his critics say it will put too much power in the hands of one individual and could pave the way to an authoritarian state. The Turkish opposition, which is against the proposal, says the changes are merely a blueprint for a power grab. 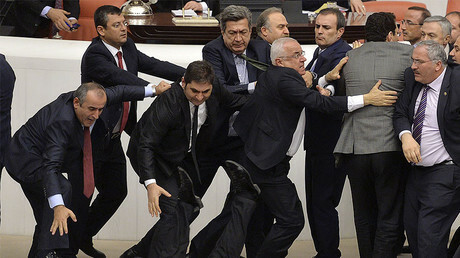 In January, a mass brawl took place in parliament between the ruling party and members of the opposition Republican People’s Party (CHP) during the debates on the controversial proposal. The same month saw people taking to the streets of Ankara to participate in a rally organized by the CHP as well as several NGOs and lawyers groups to protest the constitutional changes. Turkish police fired tear gas and used water cannon to disperse the hundreds of people who had gathered outside the parliament building.